In conjunction with our weekend performances of THE VERY HUNGRY CATERPILLAR SHOW, we are excited to enhance your theater experiences, particularly for our youngest audience members! Approximately 15 minutes before the start of each of our weekend performances, members of our cast will read a few of Eric Carle’s iconic stories to our audience. Immediately following the performance, our actors are going to bring back out some of our favorite puppet friends … and allow you the opportunity to take pictures and video of the puppets (be sure to use #caterpillarshow). We just ask that you stay in your seats and not come onto the stage while the puppets are out on stage. On Sunday afternoons only – between our 11 a.m. and 1 p.m. performances – First Stage teaching artists will be in the Commons of the Milwaukee Youth Arts Center (just outside of our performance space) with our Very Hungry Caterpillar puppet, available for young people to see up close and for photo opportunities. In addition, we will have other self-guided activities for families to participate in, to extend your Very Hungry Caterpillar experience! During the performance, remember … it’s OK to clap and cheer. It’s OK to laugh. It’s OK to guess what’s about to happen. But stay in your seats or you might miss the best bits! 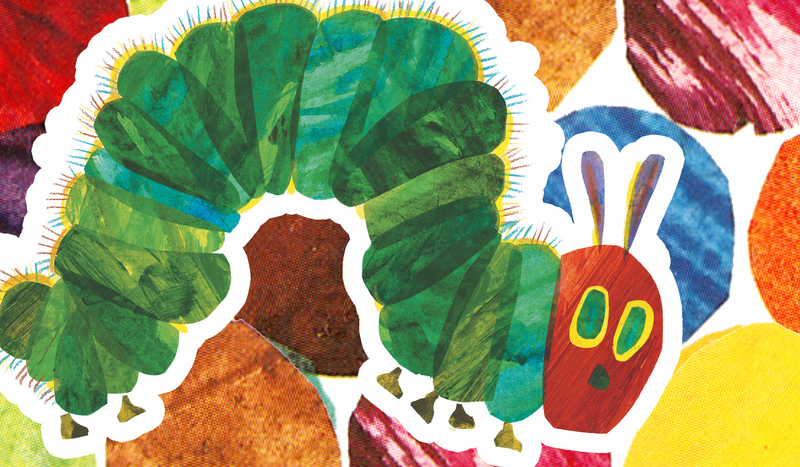 We hope you will join us for a performance of THE VERY HUNGRY CATERPILLAR SHOW! The show runs September 22 through November 4 at the Milwaukee Youth Arts Center. Tickets are just $14. But hurry, some performances are already sold out! Get yours at firststage.org/caterpillar.